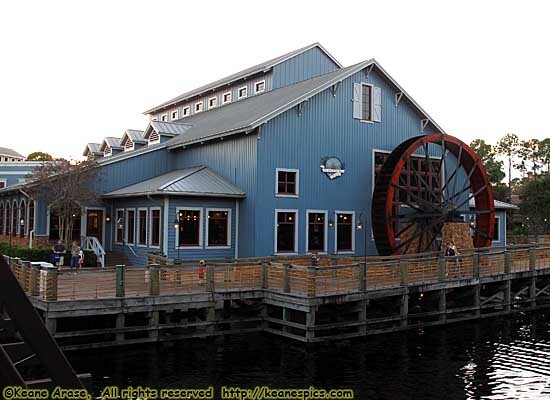 The Sassagoula Steamboat Company, Port Orleans - Riverside. 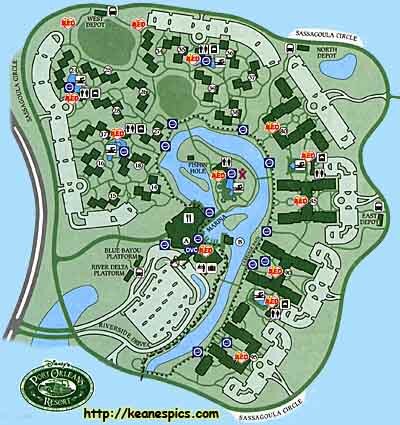 Port Orleans Riverside is another huge resort, with 2048 rooms. I was there in October 2003, ostensibly for the Food and Wine show at Epcot, and attend a Mickey's Not So Scary Halloween Party. Learning my lesson from Caribbean Beach Resort, I asked for a standard room, close to the parking lot. And I got one. Less than 50 yards from my car. It was an excellent room. This was my seventh trip to Disneyworld in four years, and I found myself treating Disneyworld with a different set of priorities. I no longer had to storm the parks to see everything I could see. I had a mental list of those attractions I want to see every time I'm there, but there are those I could walk by, too. I've also been all over Downtown Disney and the Boardwalk, and I figured I could cover all the resorts as I stayed at 'em. So a trip to Disney doesn't have to be an all consuming, have to be doing something all the time type of trip. And as I've said a few times before, I really like the parks at night. So unless one of those things on the list of things to do is a new E-ticket ride (like Mission Space was, that trip) I'm up a little later, and I'm in no hurry to rush into the parks. I returned to Port Orleans - Riverside in December 2011, and stayed there for a week. Most of the images have been updated. This trip was also to be a sort-of-a-road-trip, since after leaving Port Orleans, I was headed to Universal Orlando, the long way. Thru Key West. But that's a Road Trip. End Port Orleans - Riverside.